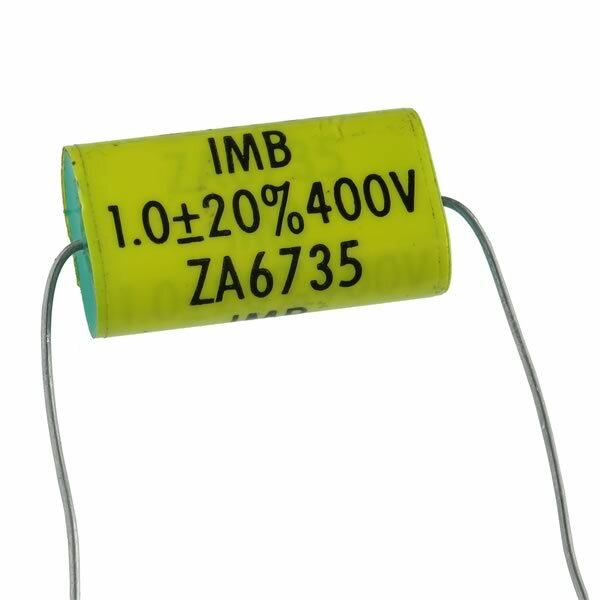 High voltage axial film capacitor made by IMB is rated 1uF 400V 20% tolerance. Size is approximately 1.2" long x 0.66" wide x 0.39" thick. Has full length 2.25" axial leads. Sold in a package of 2.